For the month of September Citroen tells us that it is offering a range of unbeatable promotional offers right across their range of cars and vans. While autumn traditionally tends to be the season where value-conscious buyers seek out nearly-new vehicles from the summer hire market, Citroen says that it is now offering similar discounts on brand new, unregistered vehicles for Irish buyers. It claims that it is offering the best value right across the Citroen car range. 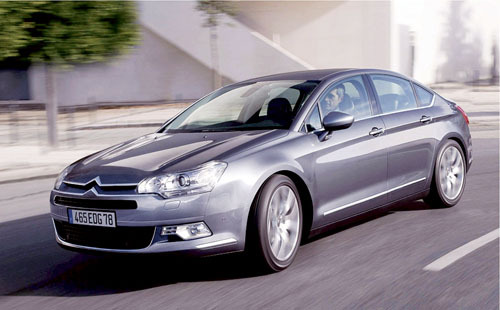 The Semperit Irish Car of the Year 2009, the stunning Citroen C5 HDi diesel, is available from just €23,995 thanks to up to €4,000 cashback. In Citroen’s supermini range, the sporty C2 is on offer from an unbelievable €9,505, while the spacious and frugal C3 is being offered from just €12,065. Up to €4,000 cashback means that you can also drive away in a new C4 family hatchback from just €16,960. Citroen claims to be Europe’s number one MPV manufacturer, and are extending their autumn offers to their award-winning range of people carriers. The C4 Picasso range is available with up to €3,500 cashback for a limited time, that's from €23,330, with the choice of five or seven seat versions. Citroen say that with a raft of industry and consumer awards, C4 Picasso is the ideal choice for the Irish family. The Xsara Picasso HDi diesel is available from €18,700, while Irish Car - MPV of the Year 2009, the Citroen Berlingo Multispace, is available from €19,995 due to €2,000 cashback. Van buyers can also avail of a range of cashback offers across Citroen’s commercial vehicles range. The reigning Irish Van of the Year 2009, the New Citroen Berlingo, is available with €3,000 cashback so it can now be purchased from just €10,265 plus VAT. The New Citroen Nemo is available from just €9,275 plus VAT. Citroen’s larger vans are also available with big discounts for a limited time. The spacious Relay Van with up to 17m3 of load space is available with up to €10,000 cashback; it is now offered from just €11,525 plus VAT. Citroen say that if you need off-road ability, then their Citroen C-Crosser SUV, The Irish SUV Commercial of the Year 2009, comes with an €8,000 saving so this four wheel drive SUV can be yours from €17,285 plus VAT. Gallic Distributors, who import Citroen into Ireland, say that these offers are only valid while stocks last and must end on September 30.